QSC, a leading global manufacturer of cinema solutions, is pleased to announce the addition of seven new products to the most comprehensive line of cinema products in the industry. New products include additions to the Media Server, Test and Measurement, Loudspeaker, and Digital Cinema Monitor categories. The CMS-5000 is a next-generation media server that combines all of the functions of an integrated media block with onboard solid state storage. It offers several ways to quickly ingest content and integrates seamlessly with Q-SYS™, a sound, picture, and control platform. The CMS-5000 features include two terabytes of reliable onboard solid-state storage, dual HDMI 2.0 ports for alternate content, and a 10Gb Ethernet port for exceptionally fast DCP ingest of content and live streaming ¬– up to 10 times faster than other servers. 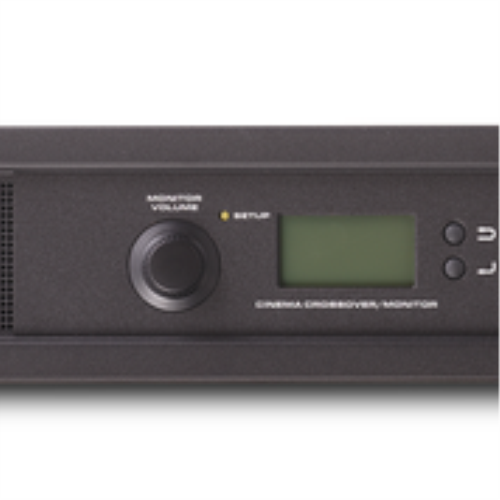 As part of the Q-SYS ecosystem, the CMS-5000 appears in Q-SYS Designer Software as a Q-SYS component, providing full system interconnection, comprehensive management, audio channel routing, status monitoring, and control of nearly any device in the cinema complex. 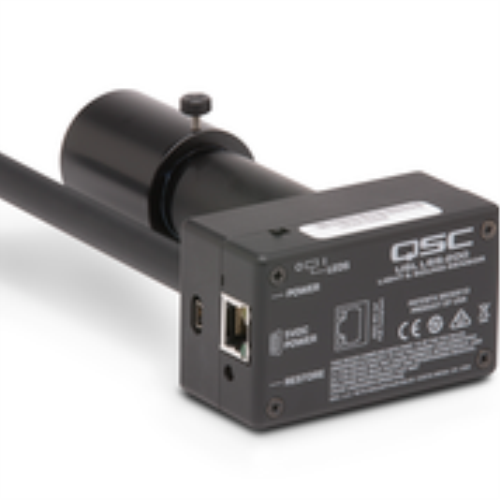 The LSS-200 is designed for auditorium quality control, and makes it easy for cinema operators to remotely monitor light and sound levels in a cinema auditorium. It uses a new XYZ color sensor for high accuracy color and luminance measurements, which his especially critical for today’s projection technology and laser light sources. The LSS-200 features an integrated measurement microphone which measure sound pressure level (C-weighted). Scripts are triggered by white flash sequence delivered by the digital cinema server, TCP command, or contact closure. All captured measurements are limit checked and logged for further analysis, and can be available on a web interface, through TCP commands over Ethernet, and by posting data to a remote web server. The LSS-200 is powered by user supplied PoE switch, PoE power injector, or USB power supply. 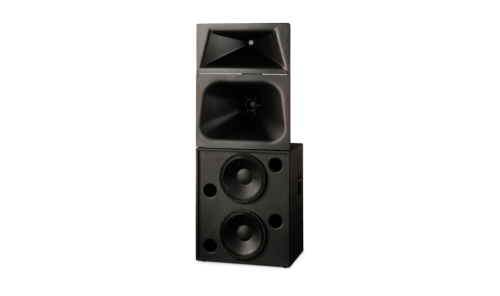 The SC-223 is a bi-amplified, three-way screen channel loudspeaker system consisting of one LF-2215 dual 15-inch low frequency enclosure, and one MH-1060 mid/high section. A robust, custom-designed passive crossover network is built into the MH-1060 mid/high section, which also features CineSight™, QSC’s patented horn aiming system. The SC-223 is ideally suited for cinemas where the distance from the screen to the last row is no more than 70 feet (21 meters). As a result of a newly-designed mid-range phase plug and horn, the SC-223 features enhanced midrange dialogue intelligibility and the benefits of Intrinsic Correction™ audio processing when used as part of a complete QSC system. The DCM 100 and DCM 300 are cinema crossovers/monitors based on QSC’s extremely successful DPM signal processing platform, providing loudspeaker crossover and monitoring functions for in a single integrated system. 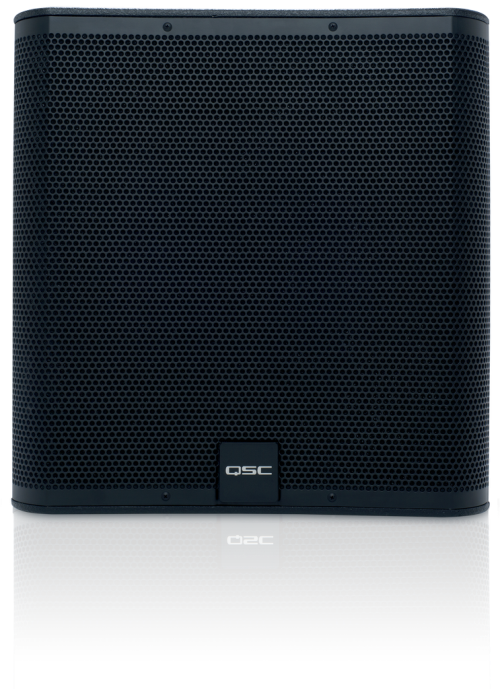 Designed to be used with the QSC DSC cinema loudspeakers, the new DCM Series replaces the DCM 10D and DCM 30D, and features advanced Intrinsic Correction settings, which optimizes loudspeaker performance out of the box and minimizes onsite in-room equalization. For up to three screen channel loudspeakers, the DCM 100 is configurable for passive and bi-amplified operation, and the DCM 300 is configurable for passive, bi-, tri- and quad-amplification. Both models accommodate 2 or 4 surround channels for 5.1 or 7.1 cinemas. The SB-118F and SB-218F are flyable subwoofers designed for low frequency enhancement of surround content. The subwoofers feature integrated handles and eight built-in mounting points making them ideal for safe and easy suspension from ceilings or walls. The SB-118F has a single 18-inch driver, and the SB-218F has two 18-inch drivers. Both subwoofers can be safely suspended close to the ceiling so that interior décor is minimally affected. Both models feature a 4-ohm impedance rating, so one can use a smaller amplifier to get maximum performance at a lower total cost. QSC will be located in Booth 2303 in the Augustus Ballroom at Caesars Palace, stop by to see presentations as well as live booth demonstrations.